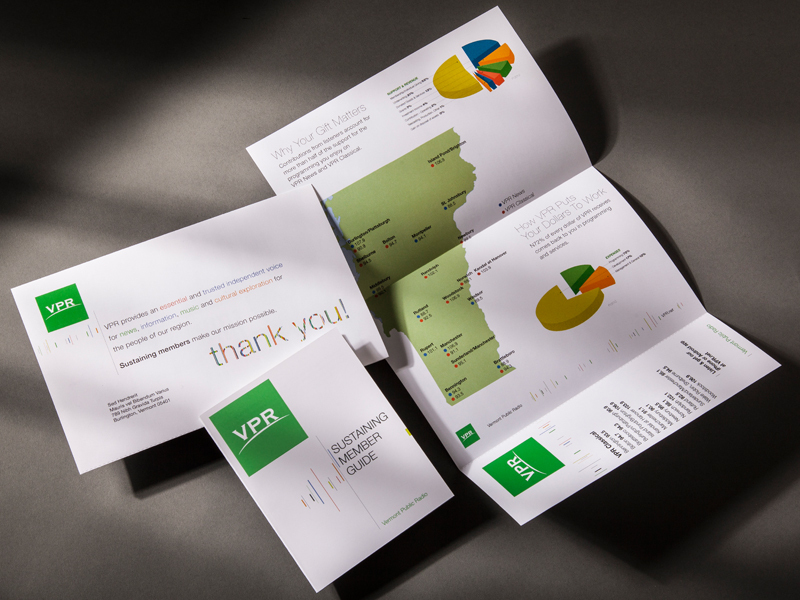 Design Work for VPR — Interrobang Design Collaborative, Inc.
Interrobang was hired to implement the VPR (Vermont Public Radio) style guide of graphic elements, giving form to their research of the past year, and creating a new look and feel for the overall VPR brand. 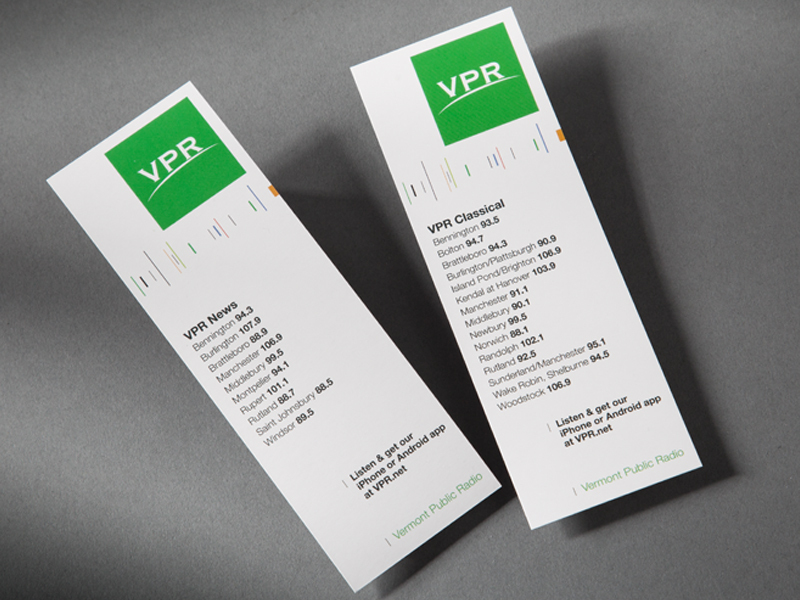 VPR is the most relevant source of news, information, music, and cultural exploration available to Vermonters when and where they want it. VPR presents intelligent, comprehensive programming and carefully curated content for a worthwhile experience across multiple platforms (on air, online and in-hand).